Your use of the CanadaSDS service is subject to the following terms and conditions (hereinafter the “Agreement”). BRISK MOBILE INC (hereinafter “CanadaSDS” or “Party”) and its partners operate CanadaSDS (www.canadasds.com), a platform that enables you to search Safety Data Sheet (hereinafter “SDS”) documents along with other SDS related functions and activities (hereinafter the “Service”). This Agreement between the User (hereinafter “Customer” or “Client” or “Subscriber” or “Party”) who is an individual associated with an organization who has paid a subscription fee to CanadaSDS for the use and access of the CanadaSDS system and has signed a CanadaSDS SaaS Agreement with CanadaSDS. If there are conflicts between this online agreement and the signed CanadaSDS SaaS Agreement, the signed CanadaSDS SaaS Agreement will take precedent. CanadaSDS may amend the Service or this Agreement at any time and all updates to this Agreement will be posted on this page with an updated effective date. It is incumbent upon every user of the Service to familiarize themselves with this Agreement. Your continued use of the Service is your acceptance of the changed or modified Agreement from the date of your previous use. 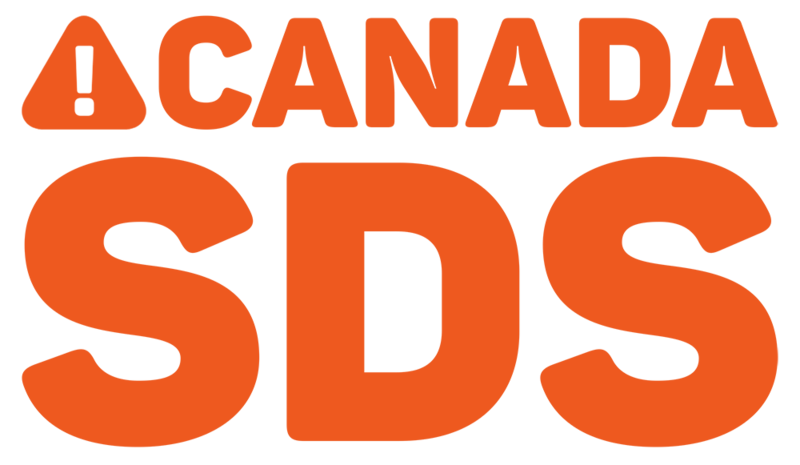 A. CanadaSDS and its partners operate www.canadasds.com, a platform that enables Customers to search Safety Data Sheet documents along with other SDS related functions and activities. B. Customer wishes to subscribe to the CanadaSDS Service and CanadaSDS agrees to provide Customer access to the Service on the terms and conditions of this Agreement. C. Customer understands that its subscription to the CanadaSDS Service is non-exclusive. Nothing in the Agreement prevents CanadaSDS from providing the Service to any other person or party. This Agreement is effective from the effective date stated within the signed CanadaSDS SaaS Agreement (hereinafter the “Effective Date”). Initial term of this Agreement is set forth in the signed CanadaSDS SaaS Agreement. This Agreement shall automatically renew for additional terms of one (1) year each unless either Party shall give notice of cancellation at least thirty (30) days prior to the expiration of the original term or any renewal thereof. The Service is billed in advance on a yearly basis and is non-refundable. There will be no refunds or credits for setup fees, partial months of service, upgrade/downgrade refunds, or refunds for unused months. All fees are exclusive of all taxes, levies, or duties imposed by taxing authorities, and Customer shall be responsible for payment of all such taxes, levies, or duties, excluding only Canadian (federal or provincial) taxes. If a payment in a billing cycle is missed for any reason whatsoever, CanadaSDS will notify Customer of such non-payment and Customer will have 10 business days to make a payment. If such payment is not made within 10 business days, access to the system will be suspended. The fees for use of the Service are set forth in Appendix A of the signed CanadaSDS SaaS Agreement. Acceptable Use. Customer is solely responsible for the content of any postings, data, or transmissions using the Services, or any other use of the Services by Customer or by any person or entity Customer permits to access the Services. Customer represents and warrants that it will: (a) not use the Services in a manner that: (i) is prohibited by any law or regulation, or to facilitate the violation of any law or regulation; or (ii) that infringes any 3rd party’s copyright including patents, trademarks or any other intellectual property right; or (iii) will disrupt a third parties’ similar use; (b) not violate or tamper with the security of any CanadaSDS computer equipment or program including but not limited to attempting to manipulate or circumvent the Service or use loopholes in the Service. If CanadaSDS has reasonable grounds to believe that Customer is utilizing the Services for any such illegal or disruptive purpose CanadaSDS may suspend the Services immediately with or without notice to Customer. CanadaSDS may terminate the Agreement as contemplated in Section 11 if Customer in fact fails to adhere to the foregoing acceptable use standards. DISCLAIMER. THE WARRANTIES SET FORTH IN THIS SECTION 3 ARE THE ONLY WARRANTIES MADE BY CANADASDS. CANADASDS AND ITS PARTNERS MAKES NO OTHER WARRANTIES OF ANY KIND, EXPRESS OR IMPLIED, WITH RESPECT TO THE SERVICES, ANY RELATED SERVICE OR SOFTWARE. TO THE MAXIMUM EXTENT PERMITTED BY APPLICABLE LAW, THE SERVICE IS PROVIDED “AS IS” AND “AS AVAILABLE”, WITH ALL FAULTS AND WITHOUT WARRANTY OF ANY KIND, AND CANADASDS HEREBY EXPRESSLY DISCLAIMS ANY IMPLIED WARRANTY OF MERCHANTABILITY, FITNESS FOR A PARTICULAR PURPOSE, OR IMPLIED WARRANTIES ARISING FROM A COURSE OF DEALING OR COURSE OF PERFORMANCE. CANADASDS DOES NOT WARRANT THAT THE FUNCTIONS CONTAINED IN OR PERFORMED OR PROVIDED BY THE SERVICE WILL MEET YOUR REQUIREMENTS, THAT THE OPERATION OF THE SERVICES WILL BE UNINTERRUPTED OR ERROR-FREE, OR THAT DEFECTS IN THE SERVICES WILL BE CORRECTED. NO ORAL OR WRITTEN INFORMATION GIVEN BY CANADASDS, ITS PARTNERS, EMPLOYEES, LICENSORS, OR THE LIKE WILL CREATE A WARRANTY. UNDER NO CIRCUMSTANCES WILL CANADASDS OR ANYONE ELSE INVOLVED IN ADMINISTERING, DISTRIBUTING OR PROVIDING THE SERVICES, BE LIABLE FOR ANY INDIRECT, INCIDENTAL, SPECIAL OR CONSEQUENTIAL DAMAGES THAT RESULT FROM THE USE OF OR INABILITY TO USE THE SERVICES, INCLUDING BUT NOT LIMITED TO LOSS OF REVENUE OR LOST PROFITS, OR DAMAGES THAT RESULT FROM MISTAKES, OMISSIONS, INTERRUPTIONS, DELETION OF FILES OR EMAIL, ERRORS, DEFECTS, VIRUSES, DELAYS IN OPERATION OR TRANSMISSION, FAILURE OF PERFORMANCE, THEFT , DESTRUCTION OR UNAUTHORIZED ACCESS TO CANADASDS’S RECORDS, PROGRAMS OR SERVICES, EVEN IF SUCH PARTY HAS BEEN ADVISED OF THE POSSIBILITY OF SUCH DAMAGES. IN THE EVENT OF ANY BREACH BY CANADASDS OF THIS AGREEMENT, CANADASDS’S LIABILITY TO CUSTOMER WILL NOT EXCEED THE AMOUNT PAID TO CANADASDS BY CUSTOMER DURING THE PREVIOUS THREE MONTHS. THE FOREGOING LIMITATIONS WILL APPLY EVEN IF THE ABOVE-STATED REMEDY FAILS OF ITS ESSENTIAL PURPOSE. All content posted on the Service must comply with copyright law. Customer shall be solely responsible for securing and paying for all digital rights licenses and any other licenses from copyright owners (or their agents) if required in connection to all content provided for use in connection with Customer’s use of the Service. CanadaSDS claims no intellectual property rights over the material Customer provides for use in the Service. All materials uploaded remain property of the Customer or its original creator. CanadaSDS does not pre-screen content, but reserves the right (but not the obligation) in their sole discretion to refuse or remove any content that is available via the Service. The SDS information provided by the Service is in good faith and believed to be accurate as of the effective date shown on the SDS. The SDS documents entered in to the system are from chemical manufacturers who are considered technically reliable. However, no warranty, express or implied, as to the accuracy of the information is given. CanadaSDS and its partners shall not be liable for any error, inaccuracy, or omission. The Customer acknowledges that the original manufacturer’s SDS is the de-facto source of SDS information which the Customer must rely upon and not any other views of the data presented by the Service. Regulatory requirements are subject to change and may differ between various locations. It is the Customer’s responsibility to ensure its activities comply with all federal, state, provincial or local laws. The SDS information presented by the Service pertains only to the product as shipped. Since conditions for use of the product are not under the control of the manufacturer or CanadaSDS, it is the Customer’s duty to determine the conditions necessary for the safe use of the product. Customer shall defend, indemnify and hold harmless CanadaSDS from and against all liabilities and costs (including reasonable attorneys’ fees) arising from any and all third-party claims by any person based upon or concerning Customer’s actual or alleged violation(s) of this Agreement or Customer’s actual or attempted use(s) of or access to the Service, or its information. Customer is responsible for establishing designated points of contact to interface with CanadaSDS. (a) Subject to clause (b) below, Title to, and all Intellectual Property Rights in, the Service, the Website, and all Underlying Systems is and remains the property of CanadaSDS and its licensors or partners. Customer must not dispute that ownership. (b) Title to, and all Intellectual Property Rights in, the Customer data (as between the parties) remains the property of the Customer. Customer grants CanadaSDS a worldwide, non-exclusive, fully paid up, transferable, irrevocable license to use, store, copy, modify, make available and communicate the data for any purpose in connection with the exercise of its rights and performance of its obligations in accordance with the Agreement. Know How. To the extent not owned by CanadaSDS, Customer grants CanadaSDS a royalty-free, transferable, irrevocable and perpetual license to use for CanadaSDS’s own business purposes any know how, techniques, ideas, methodologies, and similar Intellectual Property used by CanadaSDS in the provision of the Service. (b) CanadaSDS may use or disclose the feedback for any purpose. Third Party Sites and Material. Customer acknowledges that the Service may link to third party websites or feeds that are connected or relevant to Service. Any link from the Service does not imply any CanadaSDS endorsement, approval or recommendation of, or responsibility for, those websites or feeds or their content or operators. To the maximum extent permitted by law, CanadaSDS excludes all responsibility or liability for those websites or feeds. (iii) giving CanadaSDS complete authority and information required for CanadaSDS to conduct and/or settle the negotiations and litigation relating to the IP Claim. The costs incurred or recovered are for CanadaSDS’s account. All data provided by Customer or inputted by Customer is owned by Customer and is to be strictly held as confidential. CanadaSDS will delete and destroy all copies of the data once the Agreement is terminated with or without default. Customer has the option to receive a backup of the data prior to deletion per section 10. All right, title and interest in and to any material, and all copyrights, patents, trademarks, service marks or other intellectual property or proprietary rights relating thereto, belong exclusively to CanadaSDS. Any modification to the Service performed by CanadaSDS on behalf of the Customer directly or indirectly extending the current capabilities shall be the property of CanadaSDS and all copyrights and other rights are hereby assigned to CanadaSDS. CanadaSDS will use reasonable efforts to ensure the Service is available on a 24/7 basis. However, it is possible that on occasion the Service may be unavailable to permit maintenance or other development activity to take place, or in the event of Force Majeure. CanadaSDS will use reasonable efforts to publish on the CanadaSDS website advance details of any unavailability. Through the use of web services and APIs, the Service may interoperate with a range of third party service features. CanadaSDS does not make any warranty or representation on the availability of those features. Without limiting the previous sentence, if a third party feature provider ceases to provide that feature or ceases to make that feature available on reasonable terms, CanadaSDS may cease to make available that feature to the Client. To avoid doubt, if CanadaSDS exercises its right to cease the availability of a third party feature, the Client is not entitled to any refund, discount or other compensation. While CanadaSDS will take standard industry measures to back up all data stored using the Service, the Customer agrees to keep a separate back-up copy of all data uploaded into the Service. All data and backups are stored in Canadian facilities. If a Party fails to perform or observe any material term or condition of this Agreement and the failure continues unremedied for thirty (30) days after receipt of written notice, the other Party may terminate this agreement; provided, however, that where the breach is the failure of payment by Customer of any charge when due, CanadaSDS, may, at its option, terminate or suspend Services if Customer does not cure said breach within seven (7) days following notice to Customer of the delinquency. (d) This Agreement may not be assigned, sublicensed or transferred, in whole or in part, by Customer without the prior written consent of CanadaSDS. Any attempted assignment, subletting or transfer shall be void. (f) No delay or failure of CanadaSDS or Customer in exercising any right herein and no partial or single exercise thereof shall be deemed of itself to constitute a waiver of such right or any other rights herein. Any waiver by CanadaSDS or Customer of any breach of any provision of this Agreement shall not operate or be construed as a waiver of any subsequent or other breach. Copyright © 2016 CanadaSDS. All rights reserved.